So many people I have met in my online Zelda life have cringed at the mere mention of the name Tingle. What is a cultural phenomenon in Japan is everything we hate about gaming stereotypes in America. Many people use to (and some still do) look upon gamers as 30 year old who cosplay in their parents basement and live a nice secluded life. We are taught that this is wrong, and that if you’re a gamer this is what you will become. As time has proven this is generally not the case. I am 23 years old. I have had several girlfriends, regularly hang out with friends, live with some other roommates who are equally gamers and nerds, run a successful fan site or two, and on top of all of that I do get out of the house a lot for both work and friend related reasons. Heck, this weekend I am going out to the bars with people to have a good time. Just because you are a gamer doesn’t make you anti-social. Yes, this even includes if you play World of Warcraft. The issue then that people have with Tingle is it feeds the stereotype. He is an old man who is dressed in all green and happens to think he is a fairy… or a hero… it really just depends on your interpretation. He lives a highly secluded life, seems a bit crazy, draws maps and charges way to much money for them… and on top of that he even goes as far as to steal Force Gems from you (literally) in Four Swords Adventures. He is a crazy cosplaying maniac who feeds a stereotype we are all too often trying to disprove. In Japan, they live a very outgoing life with video games. Everyone, everywhere, is playing them. Cosplaying is not something looked on as weird, but accepted as part of their culture. 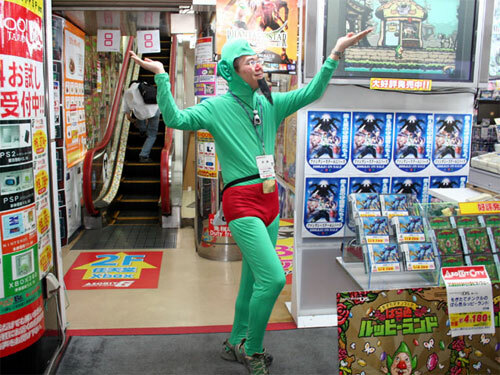 Tingle is viewed as a hero, someone living his dream in a fantasy world. Tingle, to them, has got it made and has thus become a cultural icon. 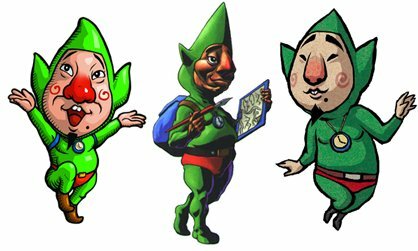 The question in all of this is who or what exactly is Tingle, and why can’t we all appreciate his character in the series? The story of Tingle never really took shape until Freshly-Picked Tingle’s Rosy Rupeeland made it’s release. Until this point, all of the thoughts represented above made some sense given the culture of different areas in the world. We knew very little about Tingle, even though he has been in almost every game in some fashion since Majora’s Mask. I think not knowing more about the character is what ultimately lead to us being so afraid of him. In reality, Tingle is someone of which we should actually feel sorry for, and who knows maybe one day we can save. Wait, Tingle needs saving? As FPTRR went on to explain, being “Tingle”, or this case being “A Tingle”, is actually a curse. You don’t get to choose if you are or not a Tingle. Tingle isn’t even the name of the actual character, it’s a description of the curse that has befallen him. In essence, if you are Tingle, you are a slave to Uncle Rupee. It’s really a sad thing to think about: That crazy and cooky map maker is only what he is by force. Theorizing wise, this also could entail that Tingle is not a decedent of another Tingle, or that “there is only one who lives eternally” – Tingle can be anyone who was chosen by Uncle Rupee to do his dirty work. Of course, there is a reference to having several brothers, so they may all be related. Really it’s just a question of what do you want to believe. Of course, we all know that the man we know in the Zelda franchise loves fairies. This too has hidden meanings behind it. It is suggested that “Tingle” actually had a love infatuation with Pinkle, the fairy princess. On top of that, fairies represent the exact opposite of what Uncle Rupee presents, thus it makes sense that if you are cursed, you would try to become the anti-curse. Really, this paints a very different view of “Tingle” than I think anyone has really thought before. In fact, I dare say I now know more about the character that is Tingle than I do Link. That’s a pretty scary to think about it. For many of these reasons I feel Tingle has simply been the most misunderstood character in the Zelda franchise. Those who hate him I feel hate him for all the wrong reasons. Tingle is who is he because he has to be. For that I simply salute him. Go on creepy map maker, I am willing to buy your maps anytime.